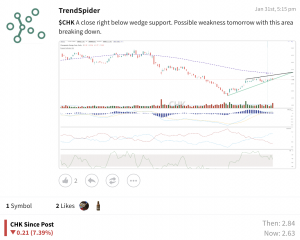 A prepared trader is a generally a profitable trader, and Sunday is a great day to get ready for the week ahead by studying up from last week’s price action. 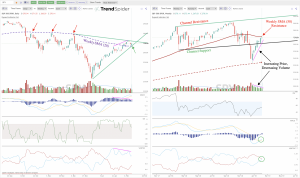 In this weekend’s analysis, we take a look at the pullback that has started across the board with XBI once again starting to show signs of a move down before SPY and QQQ. 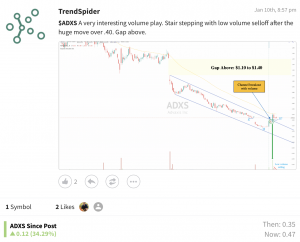 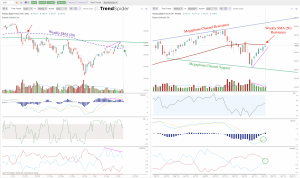 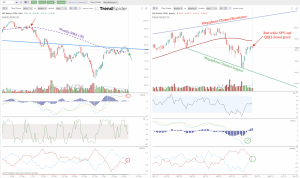 Get the full analysis through the video below and reach out with any questions about the TrendSpider charting platform! 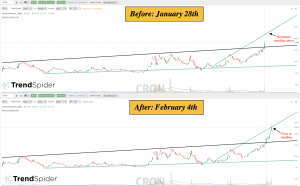 This weekend’s “Before and After” shows the daily price action on CRON breaking out through the channel resistance and then moving up quickly to test the next channel trendline above. 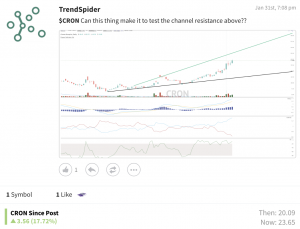 Once this area was tested, CRON sold off hard towards the channel support below before reversing once again to the upside.